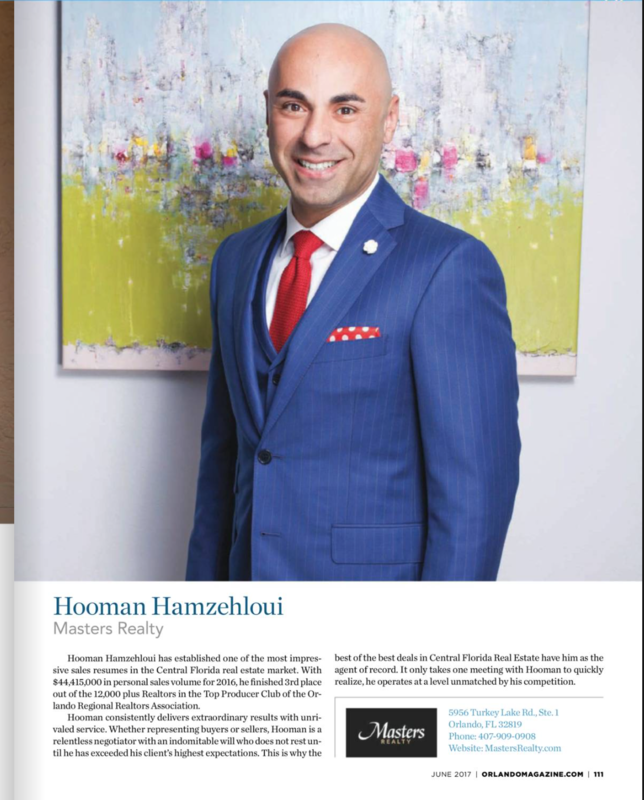 Masters Realty Group would like to congratulate Hooman Hamzehloui for being recognized as a Hot 100 Realtor in Orlando Magazine. This is the second year in a row Hooman has been recognized by Orlando Magazine for this honor. 2016 was a spectacular year for Hooman, he was also recognized by the Orlando Regional Realtors Association as the 3rd highest producer in individual sales volume for 2016 with $44,415,000.